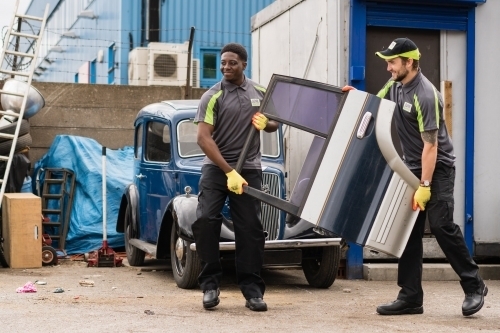 We can clear anything from an old sofa to a whole building site of waste & rubbish using specially customised waste clearance vehicles. 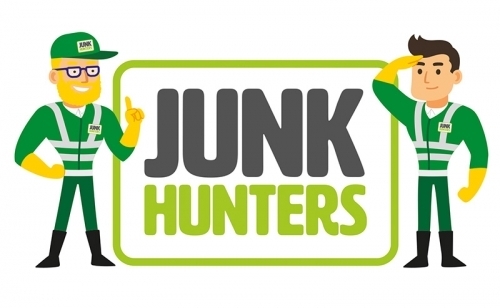 We will come and clear all of your rubbish regardless of whether it is a domestic or commercial property, our teams are used to dealing with all kinds of waste and really take the hassle out of it for you. 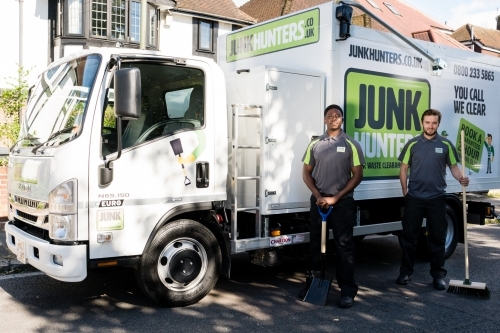 We offer a cost effective service, we will turn up at a specified time, do all of the clearance ourselves so you don't need to worry about heavy lifting or moving your rubbish to a specific location, just show us where it it. 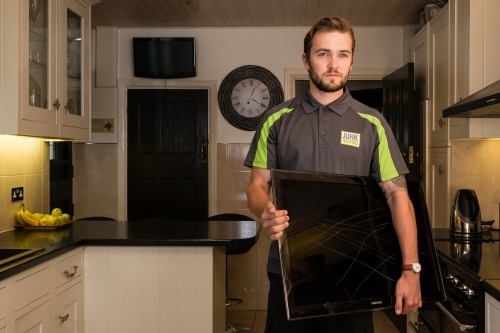 We will clean up afterwards and always ensure that your waste is disposed of correctly. 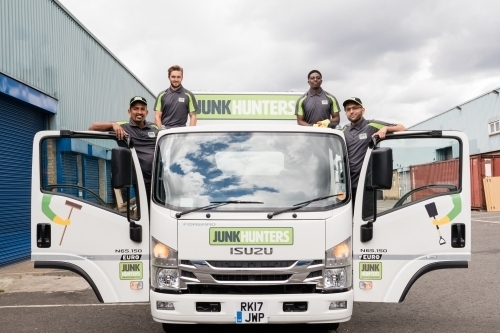 Our rubbish clearance London service is easier than hiring a skip and can even be cheaper. You don't need to get a permit or clear space on your driveway. 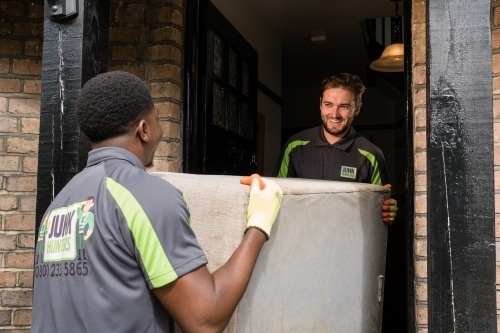 So if you are looking for Rubbish Clearance London then give us a call today or book online for a cost effective and hassle-free Service. On time, great service, very reasonable prices and they even clean up afterwards. I would definitely use them again. 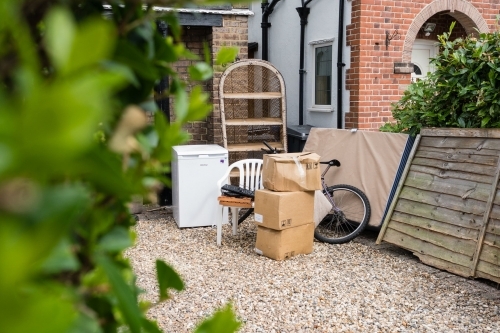 We can perform comprehensive house clearance in London or any city where we operates, and can collect sofas, bed frames, mattresses, chest of drawers, wardrobes, fridges or freezers, washing machines, dish washers, ovens, musical instruments and etc. 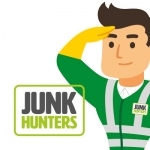 At Junk Hunters, disposing of waste and clearing offices across the UK is one of our areas of expertise. It doesn't matter if you have several floors of office space or just one cubicle that needs clearing, we can help haul your junk it away. 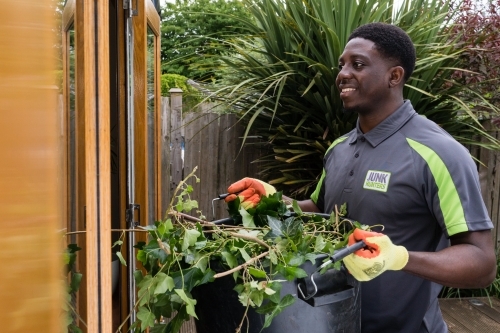 Our well-trained and professional teams will clear any waste you have directly from your garden to our collection vans, taking care of all heavy lifting involved. Regardless of what size your garden is, or whether it is landscaped or overgrown. Book Online & save £10 of your next collection.